I was so happy to see these little ones last week! 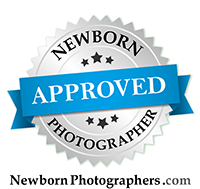 I photographed them as newborns and they came back to me at 7 months for portraits. Love their blue eyes and pretty red hair!